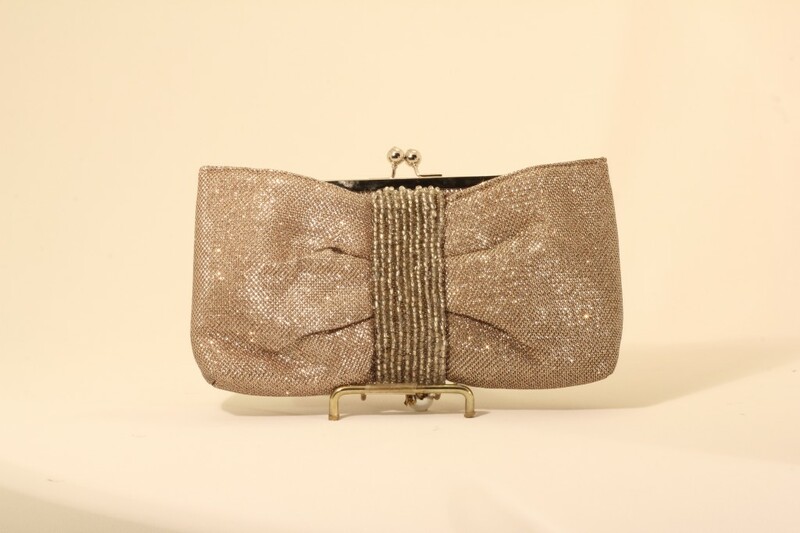 Fancy brocade clutch made in bow shape which has purse in the middle and outside bow shape creating additional pockets. It has silver frame and chain. On the middle of the back there are ten rows of clear big beads. 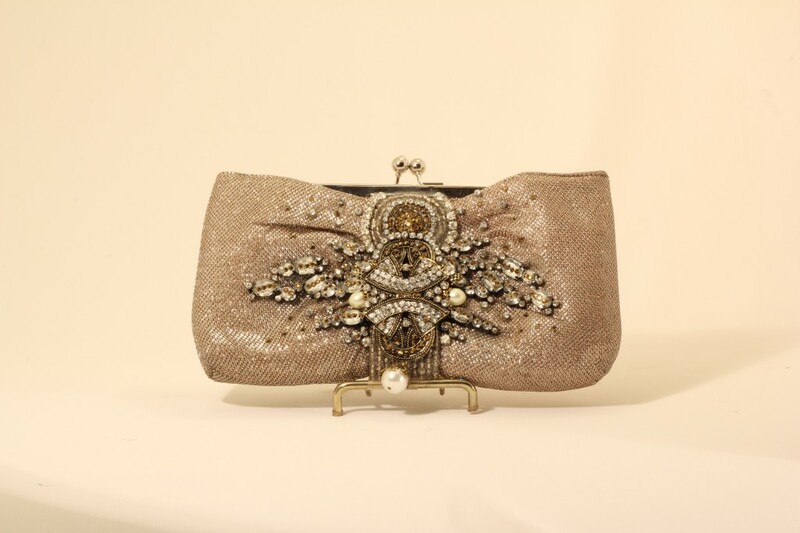 Front has a big antique embellishment in the middle along with silver crystals, stones and antique gold Swarovski crystals. On both sides there is spread of crystals in different sizes. It has big pearl drop with antique covering. It comes with custom bag.